Dorothy was born in New Orleans, LA, and spent her childhood there. She lived in Atlanta, GA, for many years before moving to Punta Gorda, FL, in 1999. Although her early career was with IBM, her first love was always poetry. She began studying writing under Jane Hill at Kennesaw State University in Atlanta, GA, and poetry at Callanwolde Center in Atlanta with Memye Curtis Tucker. She has attended the Palm Beach Poetry Festival many years, and there studied with Sharon Olds, Jane Hirschfield, Stephen Dobyns and Claudia Emerson. She has also attended the the Napa Valley Writers' Conference, where she studied with Eavan Boland. In 1996 she received a grant from the Georgia Council for the Arts in support of her poetry. She has taught many classes including "Writing Poetry," and a class titled "Poetry of Witness" at the Life Long Learning Institute at Florida SouthWestern State College in Punta Gorda, FL, and at OLLIE at Emory University in Atlanta. Dorothy holds a degree in Mathematics with minors in Physics and Philosophy from Maryville University in St. Louis, MO, and a Masters degree in Education from Tulane University in New Orleans, LA. Through the years her work has appeared in many literary magazines including Tampa Review, Atlanta Review, Poet Lore, Poem, Louisiana Literature, and Iron Horse Literary Review. Her first poetry chapbook, Simple Fracture, was published in 1996 by New Spirit Press, and her second poetry chapbook, Interstices, was published in 2009 by Finishing Line Press. Her full-length book of poetry, A Fine Dusting of Brightness was published in 2013 by Aldrich Press. Her newest chapbook, Subsoil Plowing, is available from Finishing Line Press. 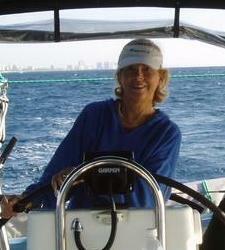 Dorothy lives with her husband in Punta Gorda, FL, where they enjoy sailing in the coastal waters of the Gulf.